That’s all that is left of the 2015 Fantasy Baseball season. Seems like just yesterday we were drafting our teams, destined to take home the title. Now, with just a few weeks remaining, we are either left strengthening our teams for a final push, victory on our mind, or staring at the shambles of a team once filled with promise, but decimated by injuries or bad luck or both, wondering where it all went wrong. Regardless of which of these categories you happen to fall into, it is never too early to start looking towards next year, and for those who play in keeper leagues, the time to do so is now. Because each league has its own rules regarding keepers (how many players you can keep, what round they will cost, etc. ), and how each league is set up (Rotisserie league, H2H Roto league, H2H Points league, etc. ), there is no set list that can be made of ‘who to keep’ and ‘who not to keep’ as it may vary from league to league and person to person. We all know pretty much what to expect from the Clayton Kershaw’s and Mike Trout’s of the world next year, but for those who plan their keeper picks on later round value instead of the marquee names at the top of the draft, trying to pick and choose who to keep around can be a challenge. With this in mind, allow me to highlight a few players drafted in the mid to late rounds (10th round and later) in 2015 that I expect to give you great value for next season and beyond. So start making room for your league’s trophy next year; these are the guys that could bring it home. This dude is a stud. The 23-year-old has finally risen to superstar status in 2015 following an injury plagued 2014. The kid has excelled in every statistic, currently sitting second on both the ESPN Player Rater and H2H points rankings, making him a must own regardless of format. As long as Machado can stay healthy and on the field, there is no limit to what he can put up next season. Drafted in the 10th round, he is an absolute steal in value for the 2nd to 4th round pick he will cost next season. If Baltimore can find a lead-off man in the offseason and bump Machado down to the two spot in the lineup, his numbers will increase even more as he is put in a better spot to knock base runners in. Either way, batting leadoff or elsewhere, the future looks incredibly bright for the young third baseman who should only get better moving forward. A front-runner for AL Rookie of the Year honors, the former #1 overall pick in 2012 has simply dominated the majors in his first year. 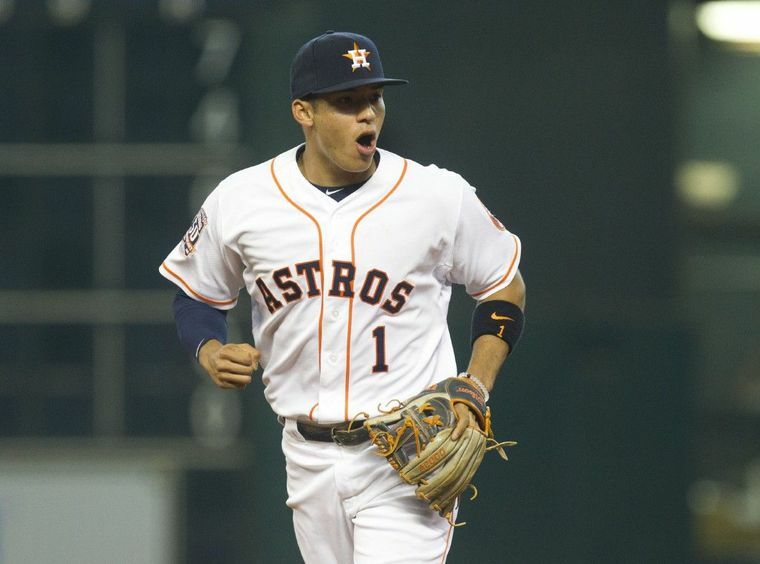 Since being called up in early June, Correa has become arguably the best shortstop in the game. He hits for both power and average and will swipe a base, all while playing at a gold glove level. The 20-year-old rookie is the only shortstop in the last century to hit 14 home runs in his first 51 games and has only gotten more comfortable at the plate, leading all shortstops in walks over the last month. In what is already a weak position overall, Correa will make the argument for being the first shortstop off the board in 2016, probably within the first three rounds. For an undrafted rookie in the vast majority of leagues, his value cannot be matched moving forward. If you were lucky enough to grab him up, or trade for him, then he will be a huge piece towards claiming that trophy next season. Remember when this guy was a consensus top-3 catcher just two years ago? Well it looks as though he has regained some of his old form in the Bronx, posting similar numbers to those he was putting up as a member of the Atlanta Braves. Sure, he will never be the .270-.290 hitter he was a couple years back. However, at a position that is weak overall, having a catcher that you can confidently pencil in 20+ home runs and 85+ runs batted in, is a luxury few teams have. He will continue to benefit from the short right field porch at Yankee Stadium (19 of 24 home runs at home last year, 13 of 21 so far this season), and with two excellent leadoff men at the top of the lineup setting the table for him I see no reason as to think his numbers should go down next season. Getting a top-3 catcher in the 16th round? That’s good enough for me to keep him around. 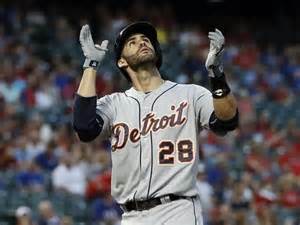 Full disclosure, I have never been a J. D. Martinez fan. I thought his stellar 2014 season was a fluke and he would come crashing down in 2015. Needless to say, I was way off. Batting in the heart of a potent Tigers lineup, J.D. has had a tremendous year for Detroit, contributing highly in four major offensive categories. Continuing to bat behind Ian Kinsler, Victor Martinez and Miguel Cabrera next year, the guy is going to get his pitches. Because he will have plenty of opportunities to knock the top of that lineup in moving forward, there is no reason to think that he will regress next season. Currently sitting in the top 10 on both ESPN’s Player Rater as well as in total points for outfielders, this kid is only trending upwards. Lock him in now. It might not be the sexiest pick, won’t be able to brag to your friends about him, but if he continues to hit the cover off the ball next year like he has the past two years, there are few better value finds out there. An afterthought on most fantasy rosters at the start of the year, Lorenzo Cain has quietly been a top-10 outfielder for most of the year. Currently ahead of such first and second round talents as Andrew McCutchen, Jose Bautista, and Adam Jones on the ESPN Player Rater, Cain has been every fantasy owner’s dream across all statistics. Batting in the heart of the Royals lineup this season, Cain has tallied a career high in runs, HRs, and RBIs already, and is on pace to set career marks in batting average, on-base percentage, and possibly stolen bases. While regression is to be expected from any player setting career numbers in multiple categories, if Cain remains in the middle of Kansas City’s lineup and can hit double digit home runs next season to go with 20+ steals, he will remain a top-20 outfielder. It is not very often you can find one of those found past the 20th round. Like J.D. Martinez before, I have been a ‘hater’ on Arrieta to this point in his career. I considered him part of a large group of B-list pitchers who were a dime a dozen, nothing to really target during drafts or trades. Arrieta has responded to my apparent disrespect by posting a sparkling .239 ERA and an incredible 20 quality starts on the year, good for 2nd most in the majors behind Zack Greinke. A model of consistency, Jake seems to only be improving; having thrown 11 of those quality starts in a row as the Cubs make a run at the NL wild card. 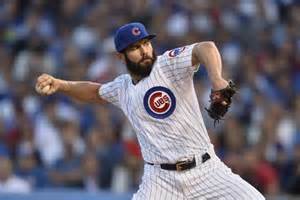 On a team that is so young and so talented offensively, Arrieta should expect no change in his number of wins and run support in 2016. He is currently a top 5 pitcher and even with some regression he should remain a top-10 to 15 pitching option next season. Archer is firmly in the middle of his breakout season. Few other pitchers in the game have as much strike out potential as the 26-year-old hurler who put up incredible numbers in the first half of the season en route to his first All-Star Game selection. He has struggled since then however, registering a 4.87 ERA dating back to July 8th. While this downturn in production over the last month plus might scare others off, the young ace has nowhere to go but up. Don’t overthink it. In what has been only his third full season as a starter, he has posted career best numbers in ERA, strikeouts, and WHIP, all which trends upwards moving forward. More strikeouts and less hits and walks usually lead to quality starts and chances to win. This guy will anchor the Rays’ rotation for years to come and will be a top-10-15 pitcher next year who will cost an owner a top-6 pick or so. Lock him up now and thank me later. No Adam Wainwright, no problem. Once the Cardinals lost their ace early in the year, many wondered if this team had the pieces to recover. Enter Carlos Martinez. The 23-year-old second year pitcher has filled in admirably for the fallen Wainwright in his first full season as a starter, tossing 16 quality starts out of 22 and throwing a sub-2.50 ERA for the majority of the season. Like Archer, Martinez has begun to fall off a bit of late as he begins to show signs of tiring. This is likely the result of throwing 50 more innings then he threw last year rather than a drop in command or movement. While he may miss the occasional start or two until the end of this season to keep him fresh for the playoffs, Martinez should have no restrictions and a full season of starting under his belt as he starts fresh in 2016. On a team with a great bullpen, an excellent offense, and the best record in baseball, he will continue to get all the help he needs to produce going forward. If making the playoffs is not in the cards for you this season, here is a guy I would try and acquire now to hold on to for next year. It might not cost much to get him now, and with his upside he is definitely worth holding on to. Fernandez is the definition of risk/reward. Drafted incredibly low this season as he worked his way back from Tommy John surgery, he has been lights out since his return. He has tossed a quality start in all but one game and has demonstrated that he still has the same filthy speed and movement he showed before going under the knife. Back on the DL with a shoulder strain, Fernandez might not pitch again this year, but he should be fresh and 100% healthy at the start of 2016. 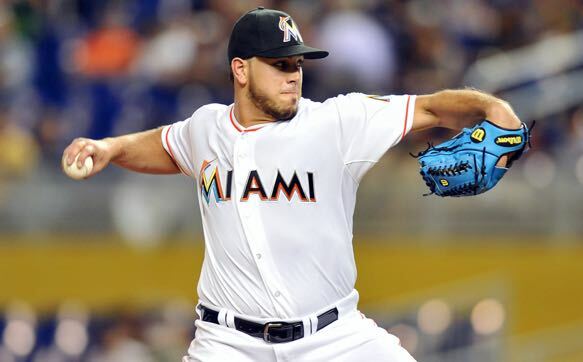 It is not very often you find a bona fide ace just sitting in the 15th round or later, so if you were smart enough to grab Fernandez this year and stayed patient with him taking up a bench or DL spot, you may be able to finally reap the rewards. Yes there are injury concerns with him, but if he can stay healthy he has shown that he is a top-5 pitcher in the game. He is well worth the risk. It isn’t very often that I would recommend you keep a closer from one season to the next. Closers rotate constantly and outside of a special few, there are not many who retain their jobs for more than a couple of years. That being said, if you were quick enough to snag Familia off waivers at the start of the season he might not be a bad guy to keep around for next year. Currently sitting 4th in the majors in saves with 32, Jeurys has shown that he is comfortable closing games in New York. Striking out over 4.5 batters for every walk and a sporting a sub 1.00 WHIP, the 25-year-old closer should continue to have success closing out games for the foreseeable future. What makes Familia a more intriguing keeper is the number of save opportunities he should receive moving forward. The Mets’ dominant young starting pitching combined with an average to below-average offense should keep New York in a lot of close games. If the trio of Matt Harvey, Jacob deGrom, and Noah Syndergaard continue their dominance for 7-8 innings, Familia should continue to close out the 9th. Based on save opportunities and value alone, Familia might be the only reliever I would consider holding on to in 2016. Colin is a Fordham University grad, Founder of HBT Sports, and notable Fantasy nerd. If he isn’t annoying friends and family by talking sports for 5 hours straight, he can normally be found on the couch watching old movies, humming one of the 10 songs stuck in his head, or bragging about his most recent FIFA victory on his PS4. A New York City kid through and through, he can be heard on ESPN New Hampshire every Saturday from 2-4 along with fellow HBT Sports writer Ricky Cibrano. Follow him on Twitter @ColDontLie and be sure to tell all your friends about HBT Sports (I’m sure he would appreciate it).